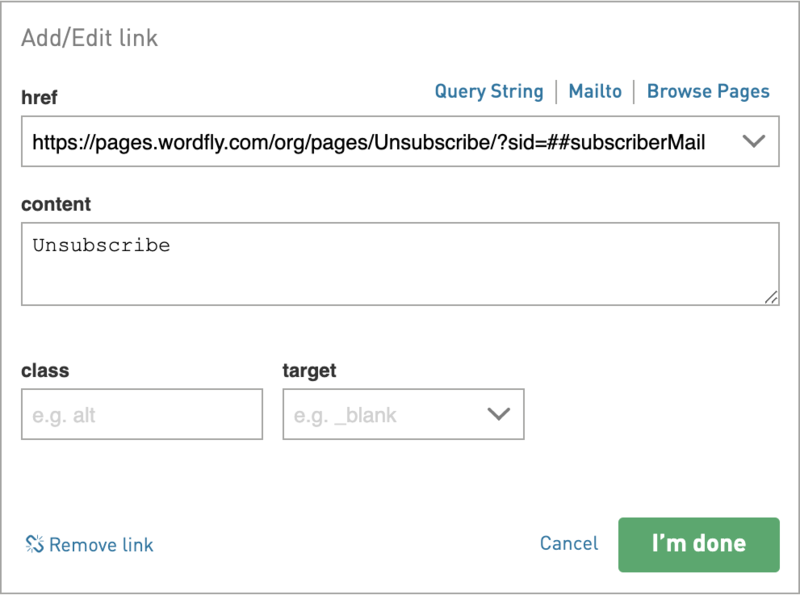 Add email best practice links such as unsubscribe, forward to a friend and view email as webpage to any email you send from WordFly. These links are actually dynamic links that update to unique links for each subscriber that receives your email. You can add best practice links directly to your email inside any text blocks. The preheader and footer areas of your email are the most common locations to add these links. Note: Dynamic links won't work if you browse to the links as is. The links only work when sent in an email to a subscriber through test or live email deployments. Modern Editor starter emails have these dynamic links as defaults in the Preheader and Footer areas! If you need to add a link back or add it again, follow the instructions in this post. 2. Filter by Type to pull up the Links. 3. Copy the dynamic link for unsubscribe, forward to a friend and/or view email as webpage. Unsubscribe, forward to a friend and view email as web page are all default dynamic tags that will always be available in your dynamic tag library. Copy the links to a notepad document for easy access later. 2. 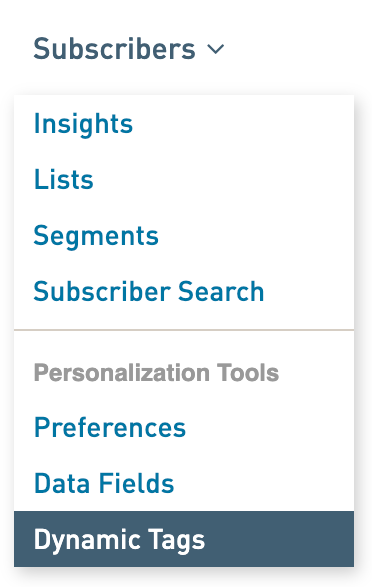 On the email preview panel, click on the text block where you would like your best practice links to go. 3. Type in your text (such as "Forward"), highlight the typed work and select the link icon. 4. Paste in the appropriate dynamic link in the URL field. Click I'm Done when finished. Repeat steps 6-8 for any other dynamic links you need to add.